Now that the temperatures are continuing to plunge and winter is well and truly here to stay, you need to take extra steps to ensure that your kids stay warm, safe and healthy. Young kids especially find it difficult to tell when they are cold and they are much more likely to lose body heat quickly. In this article, we have put together a quick guide to help you keep your kids warmer and in good health during the winter months. First of all, whenever your kids are going outdoors, you should make sure to put several layers of clothing on them. Take a look at the range of Nickis Moncler kids clothing for a variety of different coats, accessories and other warm items of clothing. As a general rule of thumb, you should be dressing babies and young children in one more layer than an adult would normally wear. Check the warmth of clothing before you buy it. It is also a good idea to look at reviews of people who have bought the products in the past. While you want to layer up your kids, you need to be aware of any potential hazards out there. For example, scarves and hood strings could potentially strangle smaller children if they get tangled up. If kids are taking part in any winter sports or other similar activities, they should always wear the appropriate protective clothing such as helmets and pads which have been properly fitted. You may not naturally think about using sunscreen during the colder months, but sunburn can still be a risk. This is particularly a problem when the sun reflects back off the snow so it is always worth being cautious and applying sunscreen to yourself and your kids whenever you step outdoors. Kids don’t tend to feel as thirsty during the winter time, which is why it is so important that you are the one who remembers to keep them hydrated. In the winter air, kids tend to lose more water through their breath. Keep a water bottle on you at all times when you are out. Encourage them to enjoy warmer beverages as well. There are all sorts of danger signs out there which could tell you that your kids are suffering from the cold. A common sign of frostbite is pale, grey or blistered skin around the fingers, toes, nose and ears. If you see this sign, you need to bring your child indoors as soon as possible and put the affected area in hot water. Excessive shivering, slurred speech and clumsiness are signs of hypothermia and you need to call the emergency services straight away. 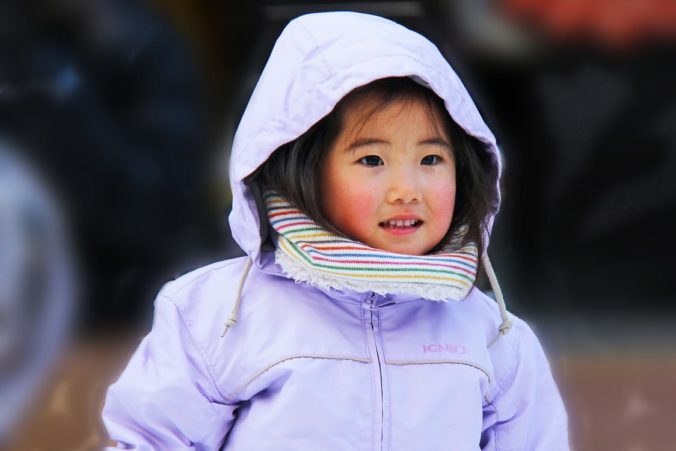 These are just a few of the top ways to keep your kids safe during the cold weather. Essentially, you just need to be extra cautious with clothing and communicate with your kids to find out exactly how they are feeling at all times.